In this lecture the argument will be made that mystical or Sufi discourses, in particular the works of thirteenth century Muslim polymath, Muḥyī al-Dīn Ibn al-Arabi, offer contemporary Muslims a rich and mostly untapped resource to engage with on gender equality. Two central religious and philosophical questions will be asked: What is the nature of being human within the Islamic tradition? What does it mean to be a gendered human being? The lecture will examine how Sufi metaphysics and theology allow for fundamental shifts in Islamic gender ethics and legal formulations. It will also address wide-ranging contemporary challenges that include questions of women’s rights in marriage and divorce, the politics of hijab and women’s leadership of ritual prayer. There will also be a discussion on the traditional binaries between the spiritual and the political, and between the realms of inner refinement and those of communal virtue. The lecture will attempt to dislodge some of the dominant androcentric readings of the Muslim tradition and present a constructive and engaged feminist reshaping of Muslim tradition. Ahmed, L. 1992. Women and Gender in Islam. New Haven: Yale University Press. Badran, M. 2009. Feminism in Islam: Secular and Religious Convergences. London: Oneworld Publications. Shaikh, S. 2013. Sufi Narratives of Intimacy: Ibn Arabi, Gender and Sexuality. Cape Town: UCT Press. Schimmel, A. 1975. Mystical Dimensions of Islam. Chapel Hill: University of North Carolina Press. Sa’diyya Shaikh is associate professor and head of the Department of Religious Studies at the University of Cape Town. Her research is situated at the intersection of Islamic Studies and Gender Studies, with a special interest in Sufism. 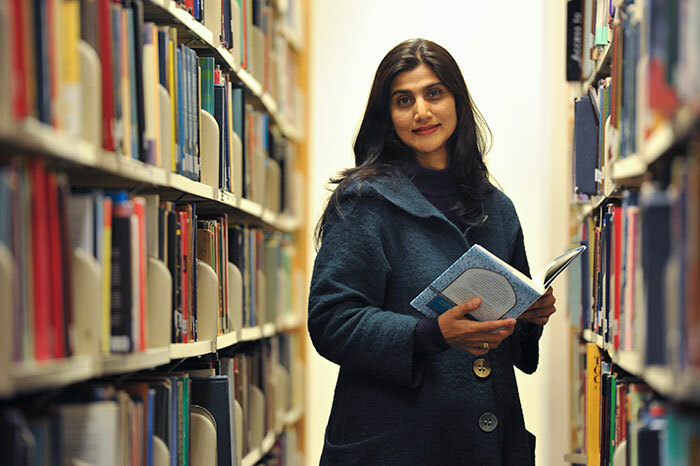 Her book Sufi Narratives of Intimacy: Ibn Arabi, Gender and Sexuality (UNC Press 2012 and UCT Press 2013) won the UCT Book Prize in 2015 and was shortlisted for the American Academy of Religion Constructive-Reflective Awards (2013). She co-edited (with Dan Maguire), Violence Against women in Contemporary World Religion (Pilgrim Press 2007). During 2016-2017 she was a research fellow at the Wissenschaftskolleg in Berlin.